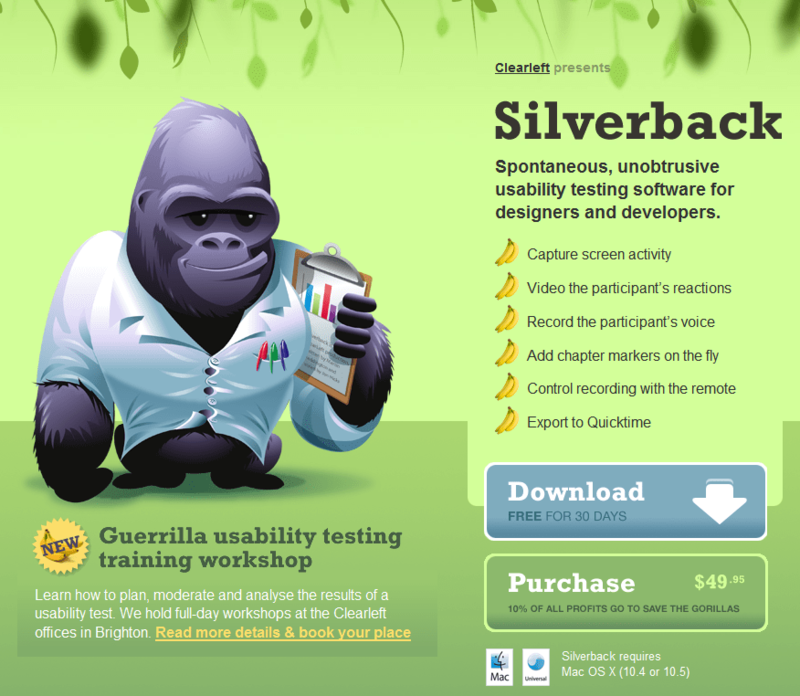 Easy usability testing on the Mac is now possible with Silverback. The software looks incredibly simple and is quite inexpensive. Although it appears to have much less functionality than Morae (on the PC), it is about 30 times cheaper! They probably shouldn’t be compared since Morae has so much more functionality, but Silverback looks like a good solution to capture footage like users reacting to the game Spore. Using the built-in camera on the Mac, it records user facial expressions as well as on-screen activity. Previous PostPew Internet: Use of Cloud Computing Applications and ServicesNext PostLive… from New York, it’s HFES!